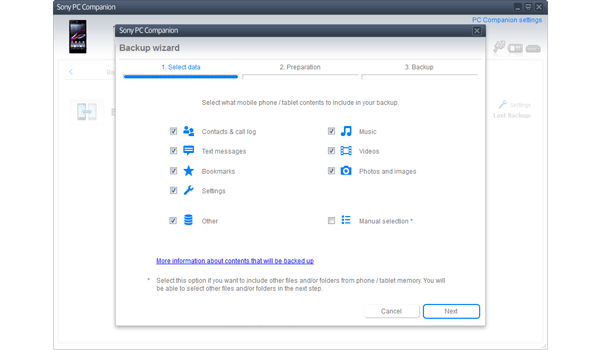 Back up your Sony Xperia XZ1 Compact to your computer to avoid losing your files and contacts. You can also restore all your files to a new device if you upgrade. 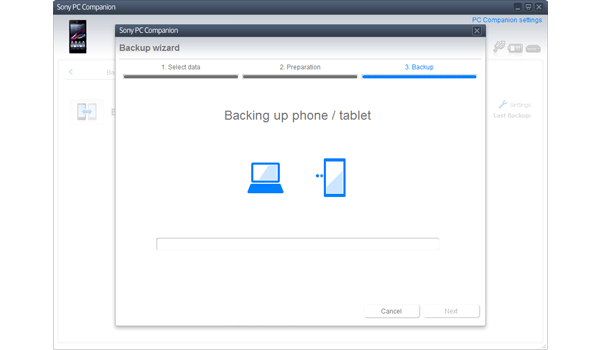 To make a backup of your Sony Xperia XZ1 Compact, you will first need to install the proper synchronisation software on your computer. Connect your Sony Xperia XZ1 Compact to the computer using the USB cable. 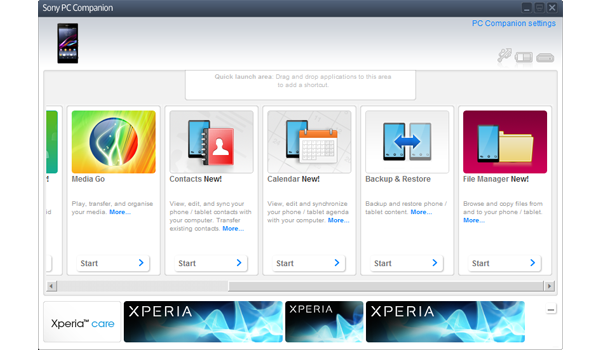 Choose Start under Backup & restore. Tick one or more options. 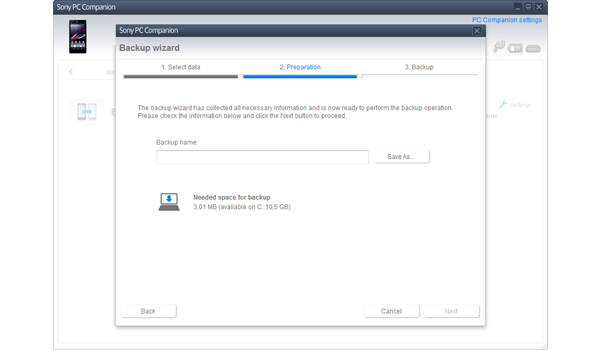 Under Backup name, enter a backup name. The backup will be started. Depending on the amount of data, this procedure may take a few minutes. 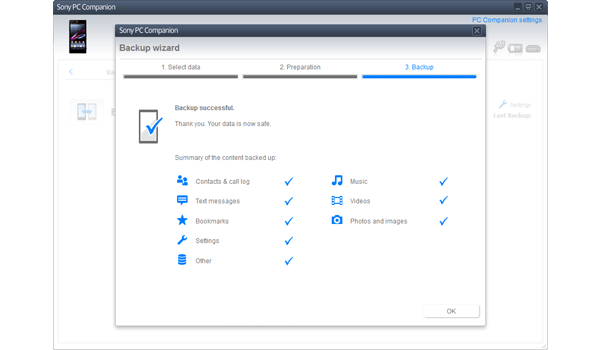 A backup will be created of all data saved on the Sony Xperia XZ1 Compact. 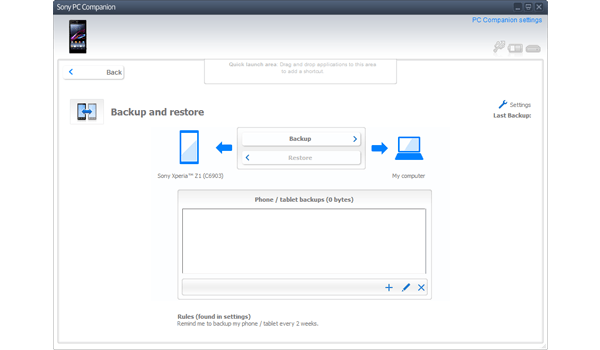 To restore a backup, repeat the previous steps, but instead choose Restore under Backup and restore. You can also search for and install updates to your Sony Xperia XZ1 Compact directly from your synchronisation software.